Where and when did you first play this game? How many times have you played this game? And when was the last time you played the game? 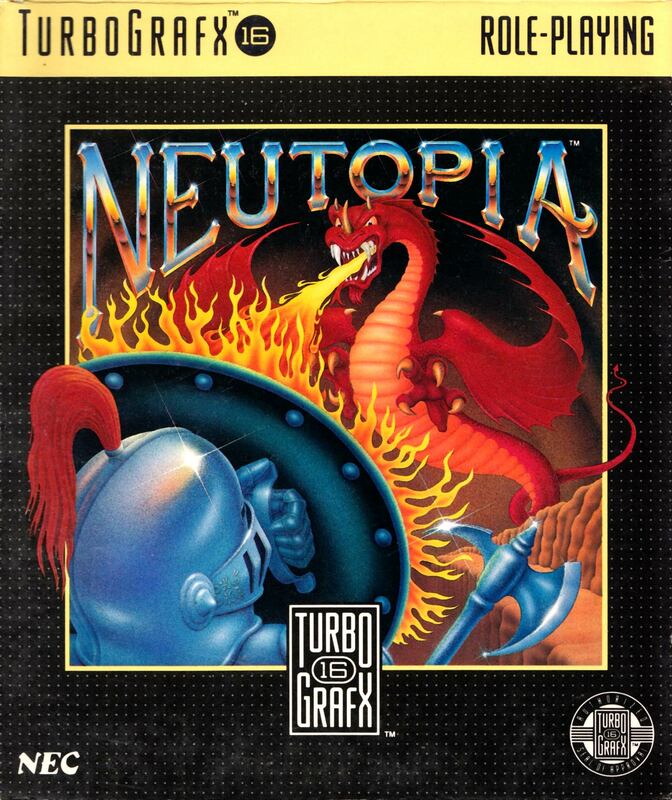 Neutopia was released in North America in 1990 for the Turbografx-16. I got the game shortly thereafter. I’ve played both the Neutopia games for the TG-16, and I’ve played the game on the Magic Engine for PC. My original TG-16 is no longer functional due to power supply problems. I loved this style of Role-Playing game. Neutopia is generally a very colorful game with lots of little details like tables and rugs, etc, which added to the depth of the environment. I think the Hudson Soft developers should get credit for the small attention to detail. Neutopia did have a very colorful, detailed style I found upon replaying the game, your character was very stiff in movement and lacking in animation. I’ve always enjoyed top down RPGs like Zelda, Ys and Neutopia. There’s a clear bad guy (Dirth), a clear motivation (save the world and Princess Aurora from the bad guy) and a clear hero, i.e. you (Jazeta). These type of games allowed for a good amount of exploration and discovery. 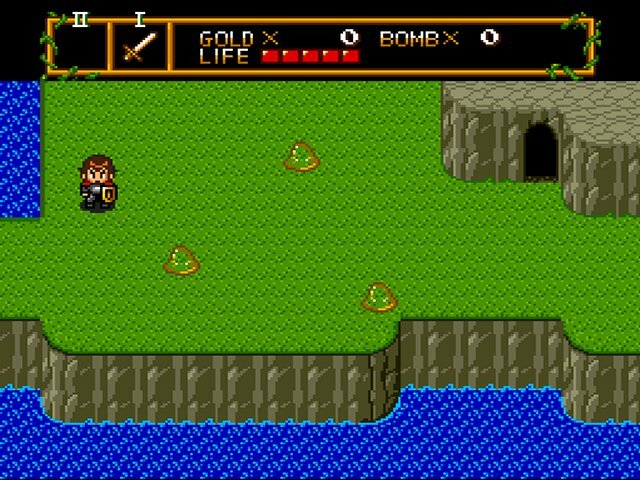 Bombs, burning up trees and obstacles in your way to find hidden items, people, money and dungeons. The main character, who’s given name is Jazeta, is a good character and the game has a fairly decent story line to boot. But the thing I remember the most of about the game was the dungeons and the bosses at the end of the levels. Some of the very imaginative and creative monsters, like the dragon, the stone man, the three head skeleton turtle, and my favorite, the huge crab! Oh good times! Most of the bad guys in this game move so slowly you’re not in much danger. But Jazeta also moves so slowly it only helps to even out the game play. Neutopia was a little bit like the original Legend of Zelda. OK! A little might be an understatement… Neutopia is more or less a LoZ rip off! Neutopia featured some graphical enhancements, more interaction with non-playable characters. But in the end, the game didn’t really attempt to do anything new like Ys I & II did in their series. Some fans of Zelda were extremely ho-hum about this obviously Zelda clone, but I really liked that about the game. I’d been playing Legend of Zelda (NES), the Adventure of Link (NES), Ys I & II (TG-CD) and Neutopia was really a great mix of the two games. Neutopia doesn’t have the CD quality music of Ys, but overall the game was impressive version of Zelda-style of game play for the TG-16.